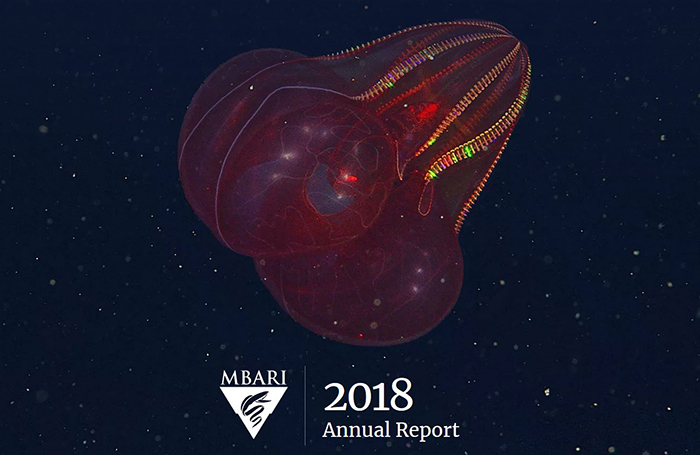 MBARI’s 2018 Annual Report has been released online, providing a multimedia view of the institute’s latest research and technology developments. 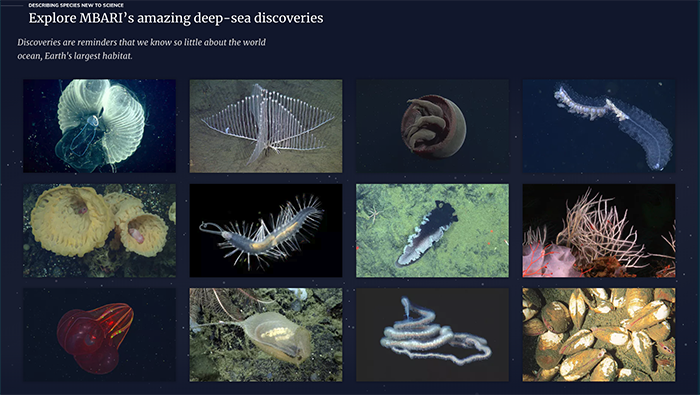 One feature of this year’s report is an interactive display of some of the animals new to science that were discovered during MBARI expeditions. The frequent discovery of animals new to science highlights the fact that there is yet so much more to explore and learn about the world ocean. The report also features in-depth articles about recent and ongoing MBARI research projects, as well as previews of some exciting ocean-observation projects in the works in the coming year. Research highlighted in this report includes major advances in ocean imaging technology, the application of MBARI expertise toward evaluating a potential clean-energy project, applying advanced genomic techniques to uncover ocean biodiversity, and developing a camera to clip on to a shark’s fin to learn about its behavior. Other articles show how technology developed for use in the ocean is having a big impact on such issues as safe drinking water and invasive species, and give readers a chance to listen to the sounds of the sea, which are being identified with the help of new machine-learning techniques. 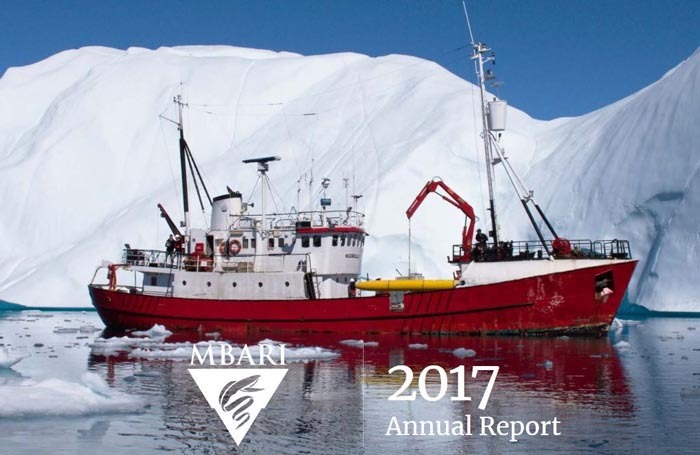 The 2018 annual report also includes several new short videos to explain MBARI research and technology. Many of the species discovered on MBARI expeditions are part of an interactive feature including stunning video clips.